Congressional Representative Ilhan Omar (D-MN) is currently facing large pushback for her recent Twitter posts, which many claim to be antisemitic. While I acknowledge there is a case to be made for linking her comments to certain classic, antisemitic tropes, I believe the accusations currently levied against Omar are largely unsubstantiated due to the fact that they do not differentiate between antisemitism and critiques of Israel. I also find myself quite frustrated with the binary fashion in which this narrative is currently being framed –– as one that essentializes American Jews by placing all of us in direct, uncompromising opposition to critics of America’s relationship with Israel and assuming we all stand firmly, unequivocally in support of the American Israel Public Affairs Committee. This past Sunday, Omar retweeted a post from the Twitter page of Glen Greenwald, a lawyer and journalist who comes from a Jewish-American family. This post links to an article from Haaretz –– an Israeli newspaper –– underneath the words, “GOP Leader Kevin McCarthy threatens punishment for @IlhanMN and @RashidaTlaib over their criticisms of Israel. 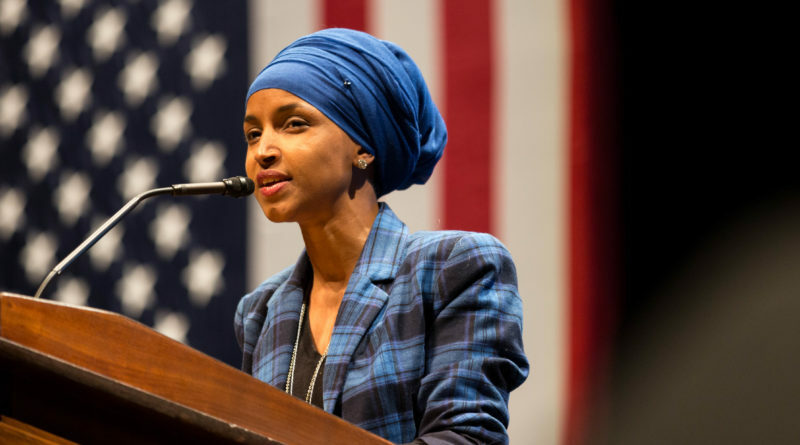 It’s stunning how much time US political leaders spend defending a foreign nation even if it means attacking free speech rights of Americans.” Omar captioned her retweet of this content, “It’s all about the Benjamins baby .” When an editor at “The Forward,” a Jewish publication, asked Omar who she believes to be “paying American politicians to be pro-Israel,” she responded, “AIPAC!” The congresswoman was then immediately labeled by nearly every major news outlet, other representatives, and President Trump as antisemitic. I would like to start by saying that antisemitism is unequivocally, incontrovertibly real. It is a force that exists in this country and around the globe; a force that has existed for centuries and one that will likely continue to exist for centuries to come. One commonly used antisemitic narrative is that Jews are constantly using money to manipulate political affairs on both local and global scales. It is for this reason that Omar’s remarks struck a nerve with some subset of the American Jewish population. With regards to Omar’s Twitter captions, a discussion of the politics of language is in order. The word “all” is what got her in trouble. Clearly, “all” was taken to mean “only,” causing her to consciously or unconsciously insinuate that the exclusive reason so many American politicians so strongly support Israel is monetary. Notwithstanding, I believe the claims that this statement is inherently antisemitic rely heavily on the conflation of Jews and Israel –– a foreign nation-state that in no way speaks for the American or international population of Jews. This is a conflation I have explicitly problematized in previous pieces. Criticizing Israel is not antisemitic. Is criticizing America anti-American? In fact, I would posit that there are few actions more inherently American than criticizing America. Part of this problem stems from the fact that Israel is a Jewish state that claims the practices and symbols of Jewish religion and culture as their own. However, it is crucial to keep in mind that although Israel claims Judaism, not all Jews around the world claim Israel; being Jewish is not synonymous to supporting a Jewish state. Omar’s critics are correct to find fault with her insinuation that the only reason American politicians support Israel is money; however, I will argue that her point is less incorrect than it is incomplete. Financial support is not the only reason representatives back Israel, but it is a critical factor. If financial incentives did not play such a huge role in the conversation of American support for Israel, and for other issues raised in the American political sphere, PAC money would not exist; according to the Center for Responsive Politics, AIPAC’s lobbying expenditures totaled to over three million dollars in 2018. Concerning AIPAC, I believe Omar hit the nail on the head. Although AIPAC is not the only group attempting to use funds to bolster government support for Israel, they are the biggest pro-Israel lobbying group. Omar does not assert the exclusivity of AIPAC in protecting Israeli interests in American politics. Here, she simply cites the lobby as a counterexample to disprove “The Forward’s” attempt at a rhetorical question. According to their website, “the mission of AIPAC is to strengthen, protect and promote the U.S.-Israel relationship in ways that enhance the security of the United States and Israel.” As one of the most powerful lobbies in this country, they do this quite effectively. AIPAC is not a Jewish organization –– it is a pro-Israel organization that neither speaks for nor represents the American Jewish community. Critiquing the way in which AIPAC operates is a form of criticizing one of the reasons for and by which support for Israel arises in the United States. Often, our president laughs off accusations of his antisemitism with claims such as, “I am the least anti-Semitic person that you’ve ever seen in your entire life,” along with promises of deep respect for and affiliation with the American Jewish population. Saying you love Jews because your son-in-law is Jewish does not make you immune to antisemitism any more than a racist white person can cite their Black friend as a plea for absolvement from being called a bigot. My final frustration with this discussion arises in the fact that many Jews and non-Jews alike are attempting to speak for an entire population. Even someone who claims the identity of a certain population has no right to speak for the entire group; doing so erases nuances present in that group from the public sphere and serves to essentialize. Attempting to speak for a group of which you have no personal affiliation is even more ridiculous. 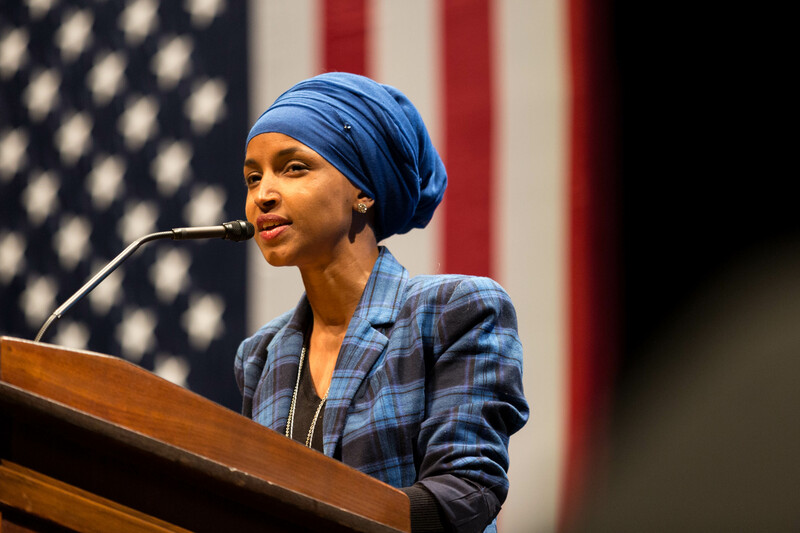 Jewish Voice for Peace, a national organization comprised of Jews, has put out a statement of support for Omar and her comments. Why, if a large group of Jews in this country agree with Omar that AIPAC is problematic, do some claim that Omar’s comments are offensive to the entire American Jewish population? No Jew can claim to speak for all of us, just as no American can confidently speak for the opinions of every person in this country. The last thing I have to say is to Americans –– Jews and non-Jews alike –– currently in the process of vilifying Omar. Speak for yourself. Don’t speak for me; I will never try to speak for you.